Oh my goodness!! These are soooo good. I have been trying to lose a few pounds, but with my addiction to baking, I might have just a little set back. I will let my family help me eat them tomorrow for Mother’s Day. This makes 2 dozen cupcakes. Preheat oven to 350 degrees. Line 2 (12-cup) muffin pans with paper liners; set aside. 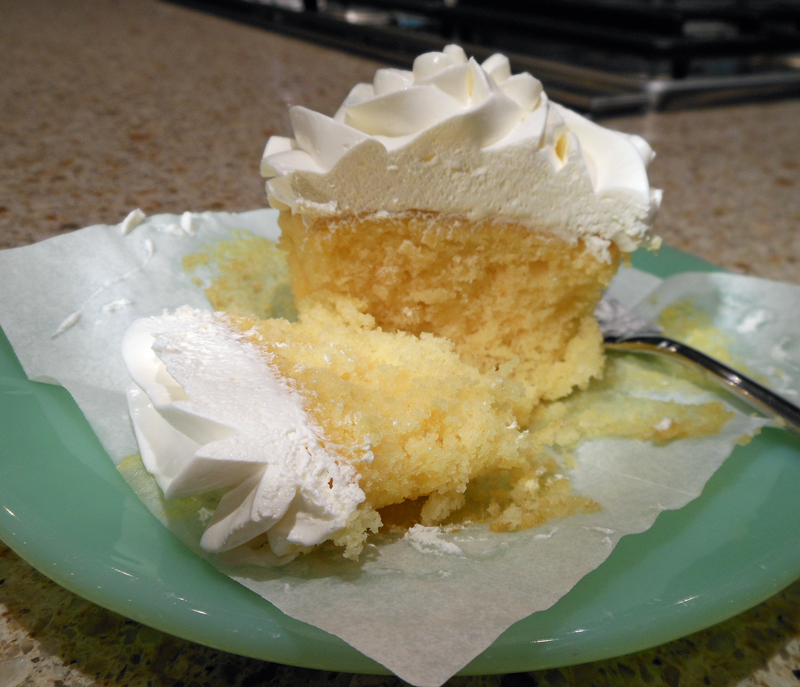 In a large bowl, combine cake mix, pineapple, oil, eggs, and coconut extract. Beat at low speed with an electric mixer for 1 minute. Increase mixer speed to high, and beat for 2 minutes. Divide batter evenly among prepared muffin cups. Bake for 18 to 22 minutes or until a wooden pick inserted in center comes out clean. Cool cupcakes in pans on wire racks for 15 minutes. Remove from pans, and cool completely on wire racks. 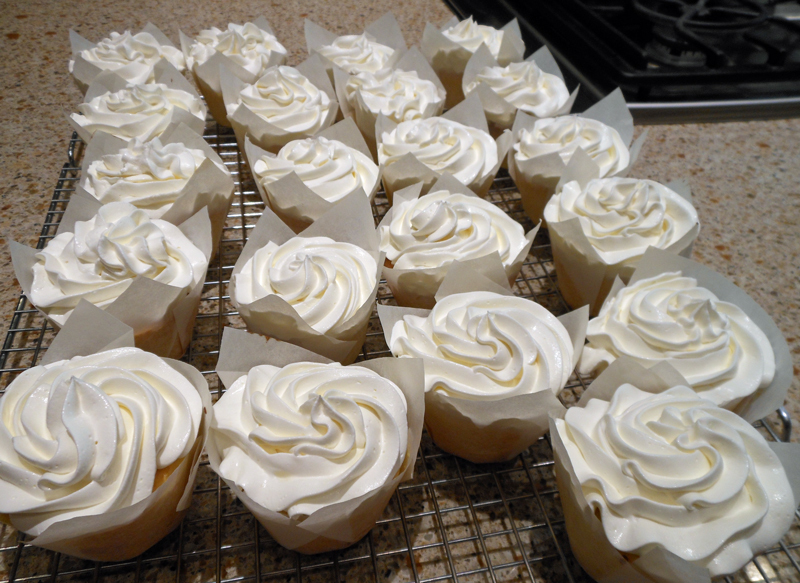 Place Coconut Cream Frosting in a pastry bag fitted with a large star tip; pipe frosting onto cooled cupcakes. Garnish with dried pineapple and toasted flaked coconut, if desired. Store cupcakes, covered, in refrigerator up to 3 days. In a large bowl, beat cream cheese at high speed with an electric mixer until smooth. Add sugar, beating until combined. Add cream of coconut and coconut extract, beating until smooth. Reduce mixer speed to medium. Add whipped topping, and beat until combined. Chill for at least 20 minutes before using.